Set above a private, sandy beach and nestled into magnificent coastal dune forest, Thonga Beach Lodge in Mabibi captures the essence of a luxury Robinson Crusoe hideaway. Traditional Thonga fishing villages provided the inspiration for this unique retreat that celebrates the true spirit of Mother Nature. On our beach deck, beneath a canopy of palm fronds and overlooking the Indian Ocean you can pledge your love for each other, whether surrounded by family and friends or just the two of you. 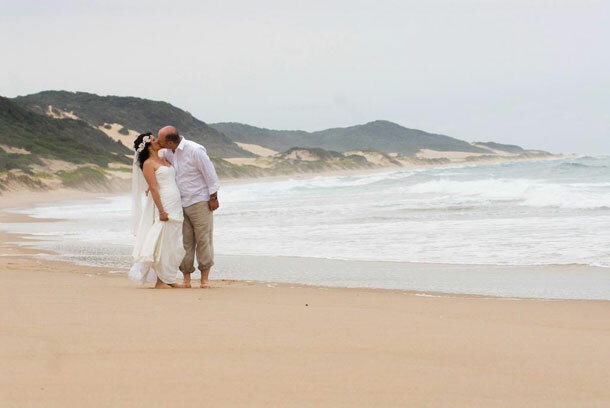 Thonga Beach Lodge will ensure that your wedding is beautifully orchestrated and professionally handled at all times. 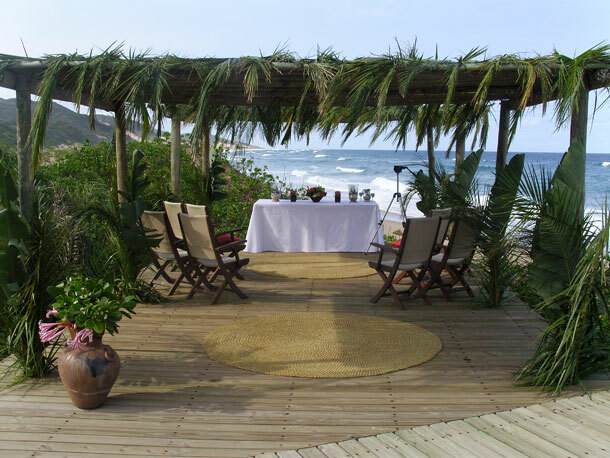 Thonga Beach Lodge is a magical place of coastal forests, grasslands, shimmering lakes and exquisite sandy beaches. Its crystal clear, warm waters offer superb snorkelling and unspoilt off-shore scuba diving, arguably the best in South Africa. To book Thonga Beach Lodge please visit Thonga Beach Lodge.